The story of the ill-fated bomb plot in Nazi Germany on 20 July 1944, is one of the most extraordinary of the whole war. Many people will be familiar with the climax – the audacious von Stauffenberg, with his eye-patch and the briefcase containing the time-bomb, penetrating the F’hrer’s secret headquarters in the forests of East Prussia, leaving the conference room, seeing the destruction and flying to Berlin to set a revolution in motion, convinced that Hitler was dead. Few readers however would be fully aware of the various strands of the German resistance that were woven together in the conspiracy, the slow and delicate stages by which it was built up and, above all, the disastrous lack of liaison between the organisers that finally brought it to grief.rnrnThe full dramatic details of the conspiracy and the subsequent events in Berlin and Paris are set down in this comprehensive and accessible history by Roger Manvell and Heinrich Fraenkel. 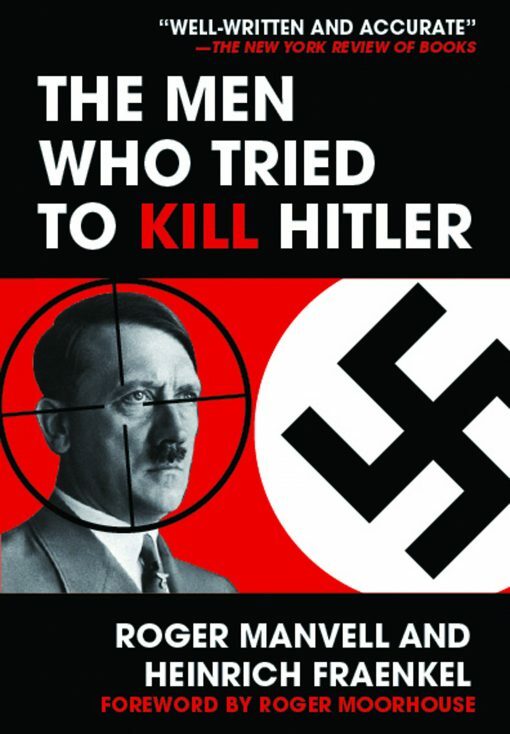 As well as drawing on an array of primary documents including Gestapo interrogation records, the authors worked closely with the many men and women who were in varying degrees involved in the conspiracy and survived Hitler’s vengeance, or were related to those prominent in the conspiracy who were executed in its aftermath.